Social networking sites are very popular, and people love to interact with the members. So if you having a WordPress blog with lots of members, but you don’t have the right plugin which transform your great community website into awesome social networking functionality. So that your members interacts with each others and let the conversation going on. Buddypress : BuddyPress helps you run any kind of social network on your WordPress, with member profiles, activity streams, user groups, messaging, and more. bbPress : bbPress is forum software with a twist from the creators of WordPress. Easily setup discussion forums inside your WordPress.org powered site. SiteGround Hosting : Crafted with Care. Best hosting with security, service and features. Social Profile Pop – Instagram Edition let’s you drive traffic from your website to your Instagram channel by showcasing it in an impressive way. It is the one stop solution to presenting your Instagram account or profile to the visitors of your website. Just connect to your Instagram account and the plugin will pull in all required data to show a clean popover featuring your main profile information and your most recent post to your audience. Elitechat is a small chat system in your WordPress blog. So all members can interact with each other, something look a like at Facebook! So this will be best to use for if you have membership site , community or you just use this to interact with your website writers. Awesome plugin to have for your WordPress site. 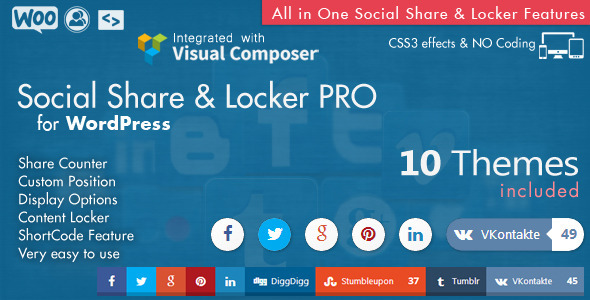 Plugin is very very easy to use and counts provided are the real share counts. The social plugin check with the Social Networks included into the plugin to get exactly the number of shares for your page, nothing less, nothing more. Social Giveaway is a wordpress plugin that let you create your own social competition, You can simply set a number of steps that the visitors of your website should complete to get the chance of winning the giveaway, The steps you provide can contain any social activity implemented in the plugin ( such as: Facebook Like, Twitter Follow, Tweet, Retweet, Youtube Subscribe, Google +1). if you want anything to add on this post or have any interesting plugin do let us know on comment below,so that we list that in our upcoming post. Thanks! Great selection of plugins you have here. I’m really much more interested in the Social Autoposter. I do have a couple of plugins that does autoposting, but it’s only for one for each site. It would be great to have my content syndicated with one push of a button like some of the tools I’ve used in the past. This definitely helps you work a lot smarter than harder than what you should! Glad you enjoyed the post and liked my selection of plugins. 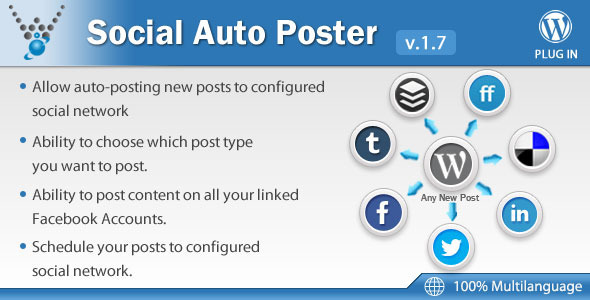 Thanks for sharing about the Social Autoposter and comment.